Does eating healthy sound like it’s too expensive for you? 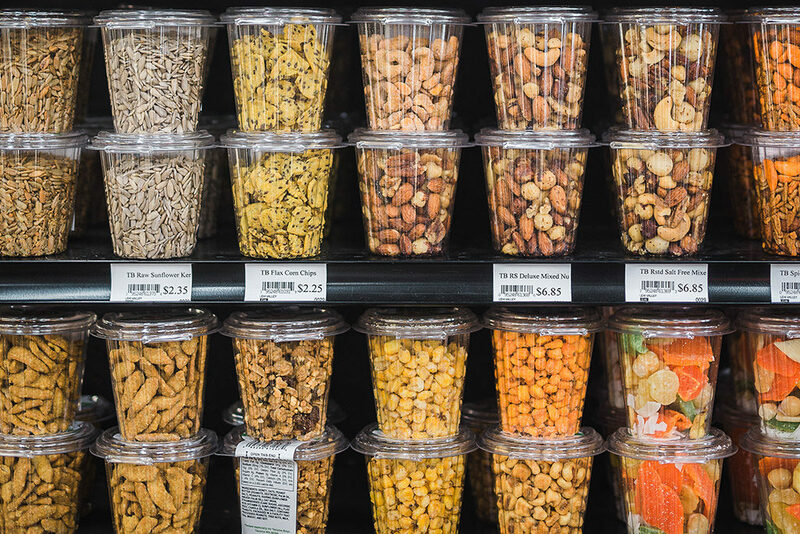 Believe it or not, there’s a way you can eat healthy food for less, even for under $1. Here are 3 staple foods that will have you eating healthy on a budget in no time. Most of us have the best intentions when it comes to our food. We always want the most affordable food that are as good for our bodies as they are our wallets. However, there’s a common misconception that eating healthy on a budget is nearly impossible. In fact, it’s one of the top reasons why many of us eye that fast food cheeseburger over a healthy plate of greens. But eating well doesn’t have to be an expensive endeavor. In fact, even if you only have a few dollars you can get the ingredients to make a hearty, healthy, home-cooked meal. 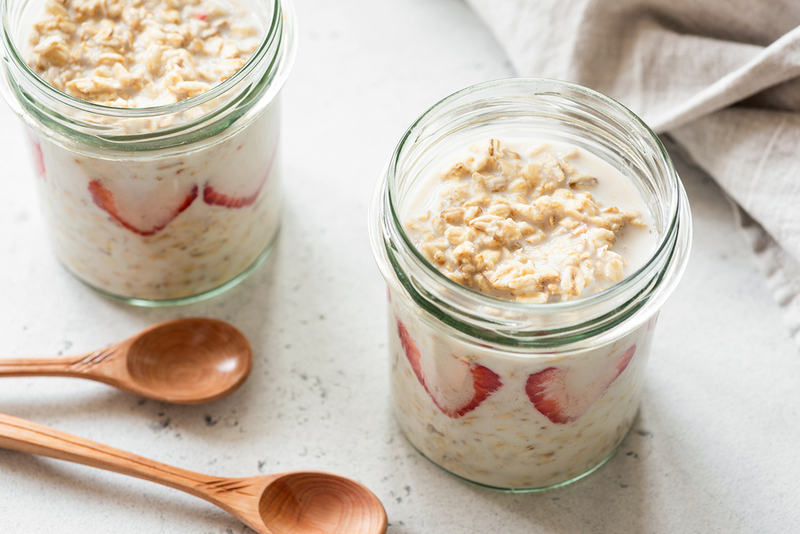 Overnight oats or oatmeal in a jar is an quick, healthy, inexpensive way to start your day! Here are three examples of healthy food you can get for $1 or less. When it comes to eating a healthy breakfast, you have plenty of options. But to get the most bang for your buck, you’ll want to pick up a container of oats. While cooked oats may not be everyone’s image of an ideal breakfast, there’s no more cost-effective way to start your day. The average serving of oats, which is around 1/3 of a cup, will cost you less than a dollar. Tacoma Boys sells containers of oats at a very affordable price, so you should be able to get a few pounds of oats for less than a couple of dollars in total. That means you’ll have healthy breakfasts for days! But the cost isn’t the only reason to incorporate oats into your diet. Each serving contains several grams of soluble fiber to aid digestion and rid your body of bad cholesterol. Plus, you can do a lot of different things with oats. Remember your favorite oatmeal from when you were a kid? Recreate a healthy adult version by adding fresh berries or cinnamon to your cooked oats. Some people even enjoy making their own granola or no-bake energy bites with peanut butter. The options are endless, it just takes a little creativity. Beans, beans, they’re good for your heart, the more you eat, the more you… save! 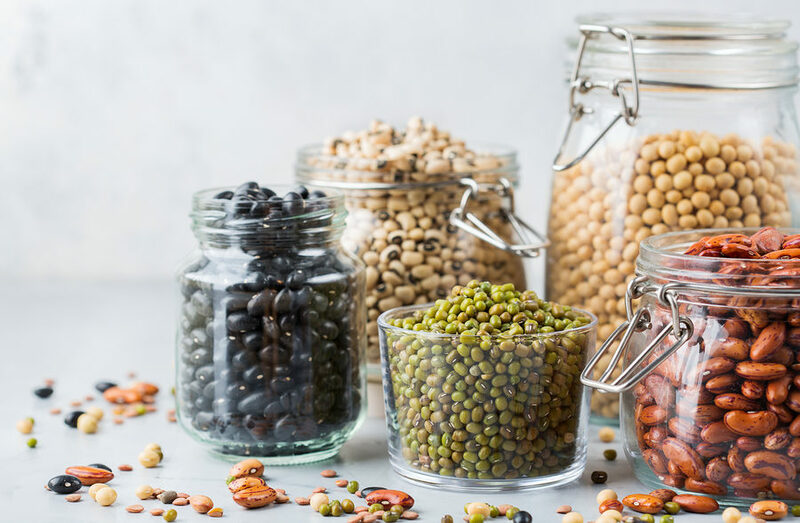 Beans are a fantastic option for eating healthy on a budget. They’re an affordable meal that won’t leave you hungry a few hours later. Cooking up a cup or two of beans will help you incorporate more fiber into your diet, as well as some extra protein. For those on a meatless or plant-based diet, beans are key for getting vital nutrients. 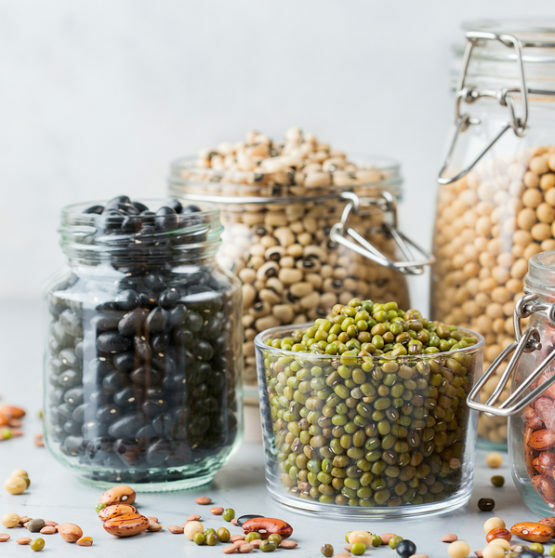 You can pick up a pound of your favorite legume for about $1 no matter where you shop, making it one of the affordable foods out there. If you have the extra cash, we recommend buying a larger bag, as you’ll ultimately save more that way. Plus, they’re one of the most versatile foods out there. Speaking of versatility, eggs are a common component in thousands of the world’s most beloved dishes. From omelets to frittatas to straight-up scrambled, there are dozens of ways to use a dozen eggs. In terms of health benefits, eggs contain protein as well as vitamins D and B. 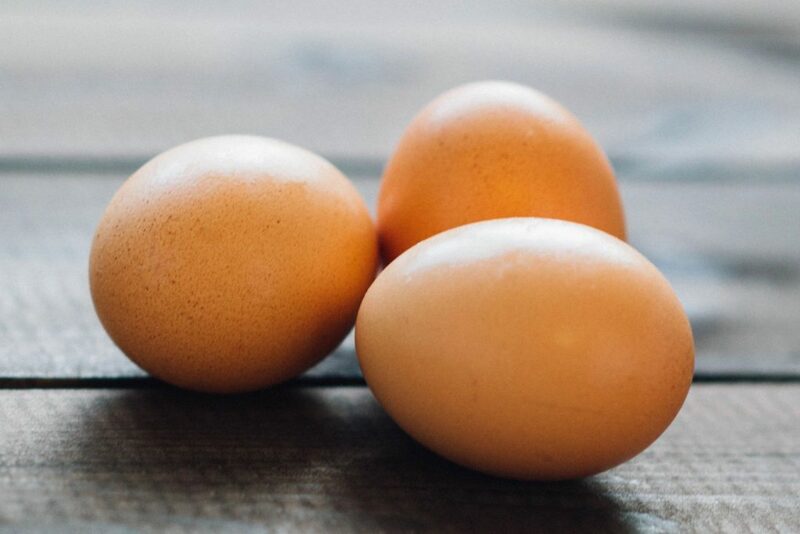 Many people look to egg whites as the more nutritious portion of the egg, but there are benefits to both the white and the yolk. Egg whites are fat free, carb free, high in protein and low in calories. However, egg yolks contain vitamins A, E and K along with healthy fats the body needs. Also, compared to the whites, egg yolks are more rich in folate and vitamin B12. Most stores offer organic eggs for a very low cost per egg, so stock up! You can also look to your community for fresh eggs. Here in the Pacific Northwest, backyard chickens have been gaining popularity in urban neighborhoods. It’s very likely you have a neighbor with chickens who gets fresh eggs every day. If the chickens are productive, they will often have a surplus and sell the eggs locally for great price. Check out your community message boards online to see if you can score some fresh eggs. You don’t have to give up on taste when eating healthy low-cost foods. 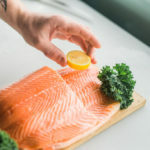 These three foods for eating healthy on a budget will keep your stomach and wallet full, so don’t let a tight budget stop you from eating right. Oats, beans and eggs are staple foods that are best when complimented by fresh fruits and veggies. Use the money you save to stock up on quality organic produce and meats for a well-rounded, budget friendly diet. At Tacoma Boys, we pride ourselves on offering customers the healthiest foods at the fairest prices. So, stop into one of our three locations today to see just how affordable eating well can be. Having a mental menu of easy meals to make can be oh so useful! Your, friends, family and guests will all appreciate your cooking genius that helps you glide through those early morning wake-up calls and late night hunger pangs. “Hangry” isn’t just a fun word to say, it’s a gosh-darn real thing! According to scientific research, hunger contributes to poor decision-making and impulsive choices. A drop in blood-sugar levels for even the healthiest of athletes can make for grumpy times. Click for the Science of being hangry. Skip the rumbling stomach, cranky guests, and crying kids by preparing healthy meals in fewer than 12 minutes. Here are five easy meals you can prepare at home. Salad is a quick and easy go-to meal. Either keep a rotating selection of greens in your fridge, or pick your own fresh lettuce from your garden or patio. Spruce up your leafy greens with chickpeas, beans, veggies, seeds or nuts. Then drizzle your creation with some super healthy vinegar and olive oil. To make it more filling, you can add a slice of crispy bread. If you love meat, add tuna, chicken or a boiled egg. For extra flavor, sprinkle some kosher sea-salt. Eggs are a quick and easy way to add protein and flavor to left overs. One example is to pour that box of fries from the night before in a frying pan with butter. Add some chopped deli ham, maybe some onions, scallions or spinach. Once heated, add a scrambled egg and some cheese. Salt and pepper to taste. Voila! An amazing hot breakfast. Have some leftover beans and rice from your favorite Mexican restaurant? Consider adding a fried egg, and wrapping it all into a burrito or make a burrito bowl. If you’re looking for something a little different, try a normal cheese omelet with chimichurri. Chimichurri is a green sauce that consists of garlic cloves, parsley, olive oil, red pepper flakes, red wine vinegar and kosher salt. Chimichurri is great with an omelet but also goes well on fish, tacos, steaks and sandwiches. Try Frank Sinatra’s quick and easy garlic, eggs and pasta recipe. Avocados are amazing. They are rich in healthy fats and protein. They are filling, and are great for your digestive system. 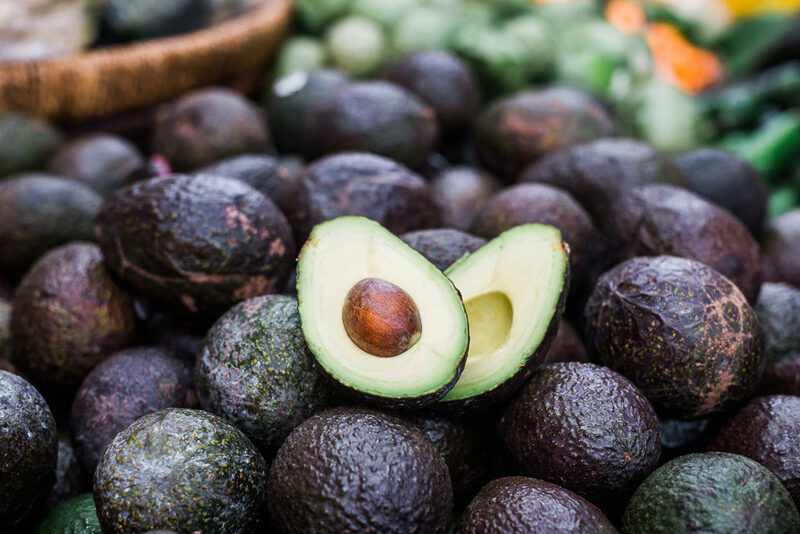 As an added bonus, eating avocados year round helps to support small town economies in Mexico. So what’s the best way to eat an avocado? Everybody is raving about their avocado toast these days, but have you considered an avocado and tomato grilled cheese sandwich? It’s an excellent choice for lunch or supper. Because of the avocado’s texture, you don’t need to use much cheese, which gives you that grilled cheese satisfaction, with more of a healthy kick. To make this sandwich all you need is one avocado, one ripe tomato, butter, mozzarella cheese slices, sliced bread and some salt. It’s important to salt the tomatoes before putting the sandwich together. One of the best things for quick and easy meals are frozen chicken breast fillets. 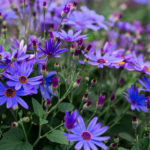 They are thin enough to cook quickly, and are small enough for portion control. If you have frozen grilled chicken, you can put this recipe together in no time. A quick a flavorful recipe is to pan-sear your chicken and spice it with some Tacoma Boys Cajun seasoning. Make sure it’s cooked all the way through, then spend a few minutes sautéing pre-chopped zucchini and squash (click for some other Cajun veggie ideas). 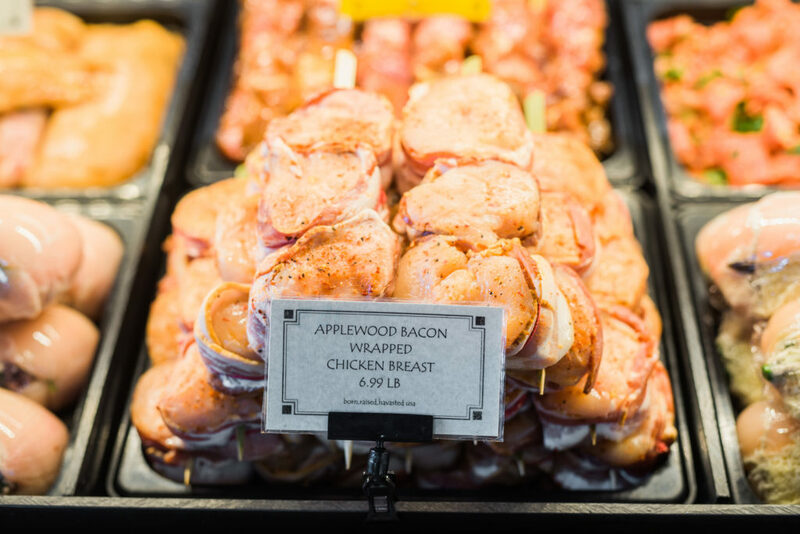 At your local Tacoma Boys and H&L Produce we carry frozen chicken, along with an amazing selection of fresh chicken from our meat department. If you’ve never had free range, organic chicken, stop in today and try some. You won’t be disappointed! It may be difficult to believe that a healthy steak dinner could be prepared so fast but timing is everything. While your steak is cooking, you have time to assemble the salad and put together a light and creamy chipotle dressing. This meal can be packed with ripe tomatoes, silky avocado, and fresh summer corn. Not to mention your favorite cut of deliciously marbled steak. For an added crunch, serve this meal with crushed tortilla chips. 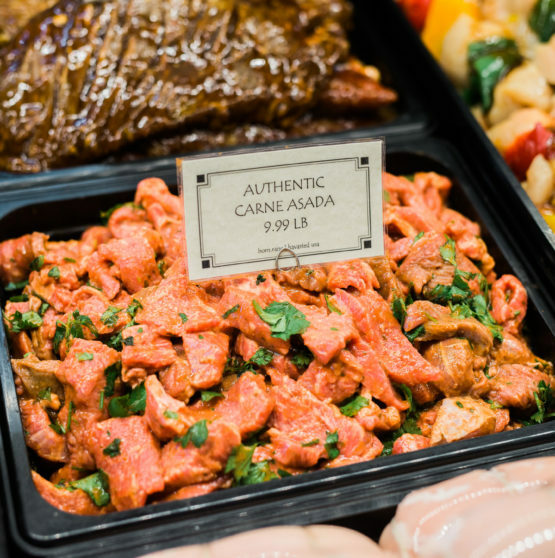 To up your sophistication level when it comes to quick and easy meals — our H&L Produce location offers dry aged beef. The slow aging process breaks down the protein in the beef, allowing for a buttery smooth texture that is found at the finest steak houses. Order yours today! How is your Spice Library? Take a naked breast of chicken and add a little salt, pepper and olive oil. You have yourself a delicious entrée. Now let’s switch that up with some pre-made seasoning from your very own Tacoma Boy’s spice library. There is no need to hit up the popular fast food options. Within easy reach you can your meal to match your mood. From Mexican to Cajun to Italian or Curry. 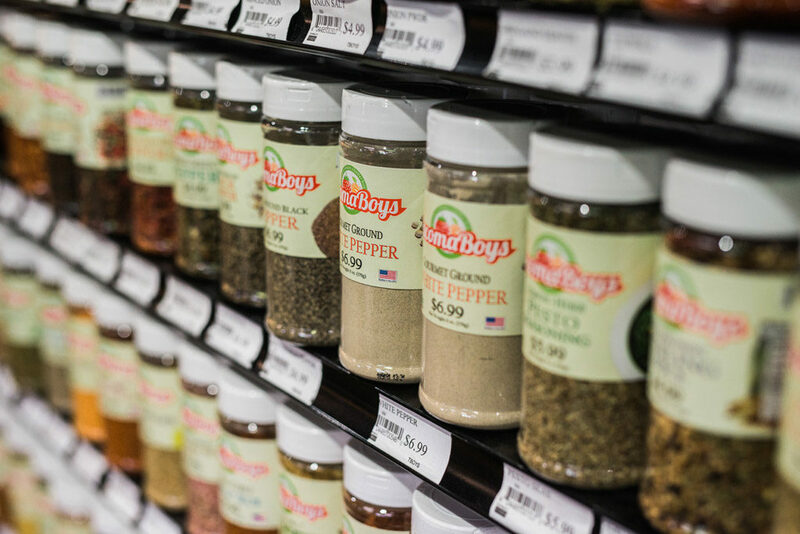 Having a well stocked spice library makes cooking fun and easy! One of the best ways to ensure your kitchen is ready for quick and easy meals is to stock up on the essentials. It’s also a great way to make sure you are eating healthy! 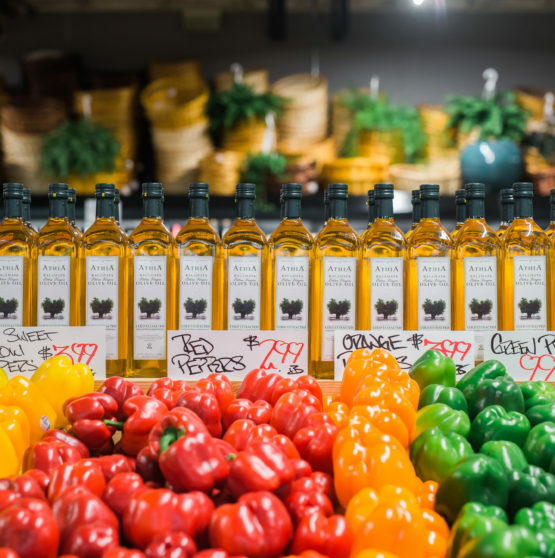 A supply of olive oil, balsamic vinegar, salt and pepper can take you a long way toward eating fast and healthy meals. Butter, your favorite seasonings, rice, pastas and jarred sauces are another ways to ensure you have the means necessary to eat well at short notice. 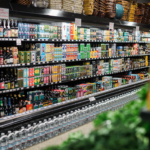 Tacoma Boys and H&L Produce have a huge selection of specialty foods, from pickled quail eggs to spicy salsas and pasta sauces. 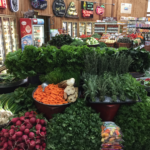 Take a look the next time you are in and stock up for your next last minute feast. Cooking tools are important as well. A good sharp knife for slicing fruits, veggies and meats. A cutting board and bread knife. Take note that having multiple knives, measuring cups and cutting surfaces can make your cooking time more efficient. One cutting surface and knife for your veggies, another for your meat, etc. As for cooking surfaces it’s great to have a pot for boiling water, another for warming sauces. A non-stick frying pan and a colander to drain your noodles and vegetables. Make sure that all of your cooking utensils are safe to use on hot surfaces! Some spatulas are NOT heat resistant. Nothing like melted silicon to ruin a meal. It doesn’t take much to create small habits of cleaning as you cook. Rinse that sauce pan with hot water while the sauce is still pliable. Wipe off those counters and clean those cutting boards while the sauce simmers. If you think about it, keeping a clean cooking area just makes sanitary sense! By taking these small steps and more, you will end your prep time with considerably less to clean once finished. Believe it or not, a dishwasher is a huge time saver! Combine it with dishwasher friendly pots, pans and utensils, and your evening can be spent with the ones you love — even if that’s just your favorite actor on Netflix. Cooking easy meals at home shouldn’t be too difficult. Just make sure you’re ready and know your way around the stovetop and microwave. No matter the time of day, you can get affordable fresh produce from Tacoma Boys and H&L Produce to prepare your hot home-cooked meals in minutes. Contact us today at any of our three locations.